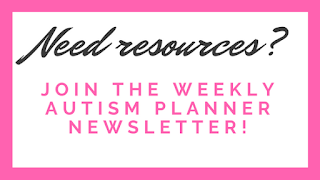 A colorful list of 50 social skills to teach kids! 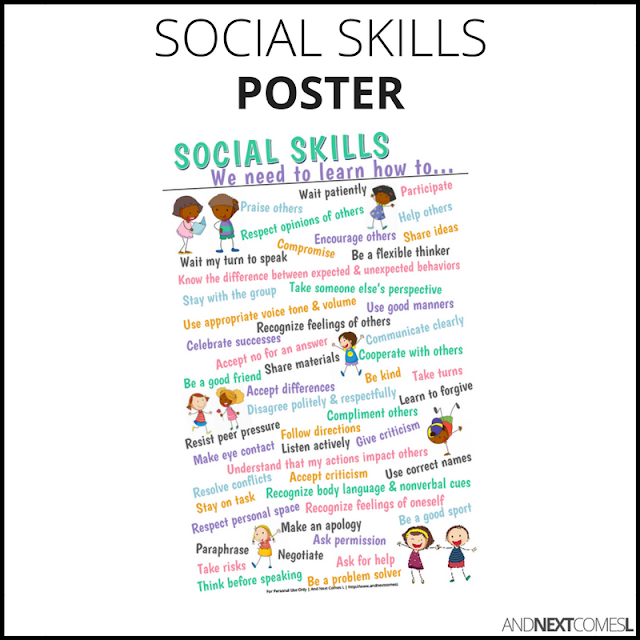 This printable 11" x 17" social skills poster lists 50 different social skills to teach kids. 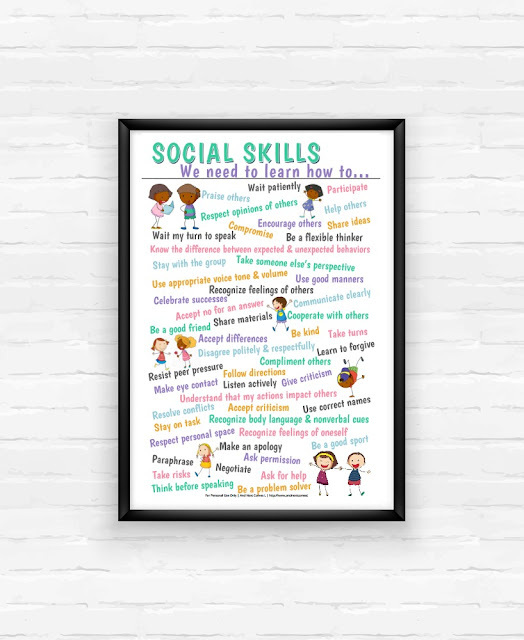 It would make a wonderful addition to a classroom, therapist's office, or even in your own home to remind you of the different social skills to work on. Poster's dimensions are 11" x 17"